More Energy. Better Skin. Weight Loss. Clear Thinking. Maximum Performance. 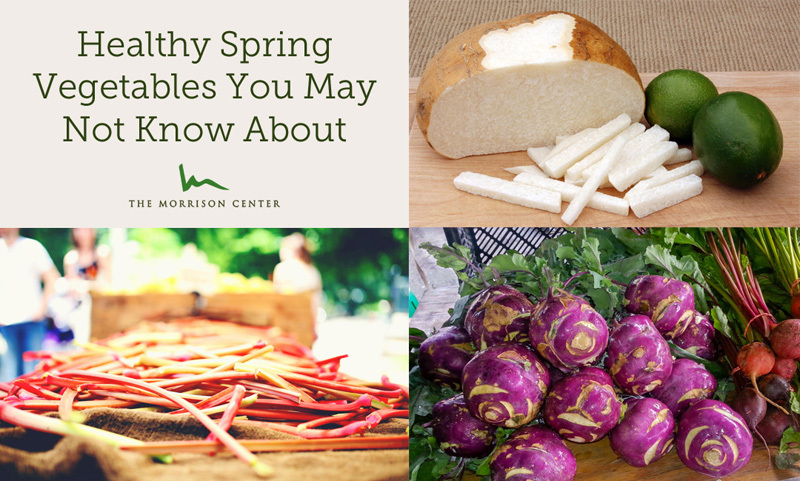 At The Morrison Center, our staff and patients just completed a group 30-Day Daily Benefit® Spring Detox challenge. Here’s what happened. 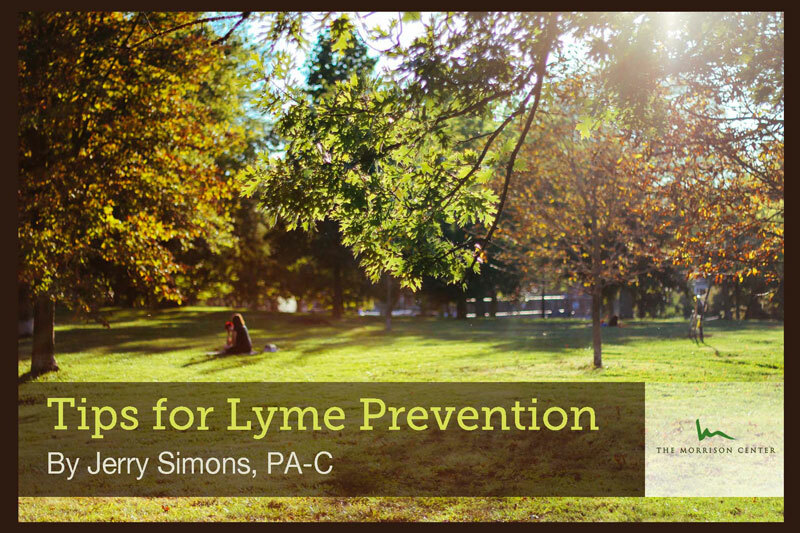 In this article, Jerry Simons offers a comprehensive list and explanation of precautions you and your family can take to prevent tick bites and the transmission of Lyme disease. The functional medicine community agrees that there is a strong mind-body connection, and that emotions can create physical symptoms—we call these symptoms psychosomatic. 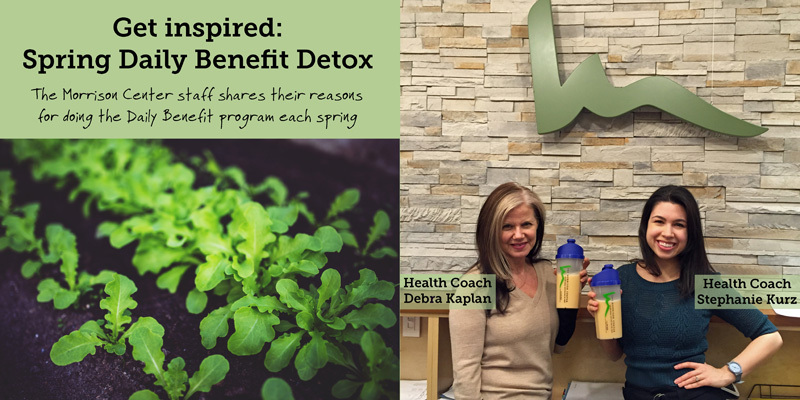 What is our spring Daily Benefit® program, and why should you do it? Here’s what our staff has to say. 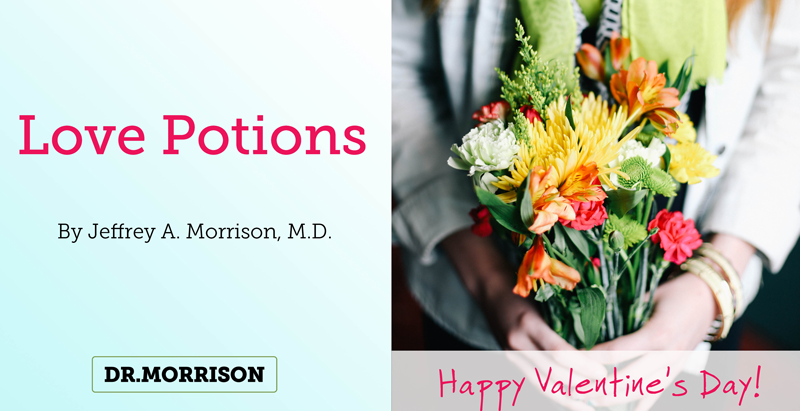 At The Morrison Center, we believe our emotional and physical health are closely linked. Traditional eastern cultures such as the Chinese have long understood this connection and believe that emotions directly correlate to specific organs and disease states. I am in constant exploration of new ways to enhance health and well being. This is part of who I am and also my job. This quest has lead me to learn about multiple non-conventional treatments, and a particular type of bodywork called my attention as a particularly effective healing strategy: craniosacral therapy (CST). Every year, around this time, I have a steady stream of male and female patients come to see me to discuss an often sensitive and embarrassing topic: low libido, and how to improve it. Since it’s almost Valentine’s Day, I thought I’d mention a few tips to consider about libido: What is it, why it’s low, and how to improve it. 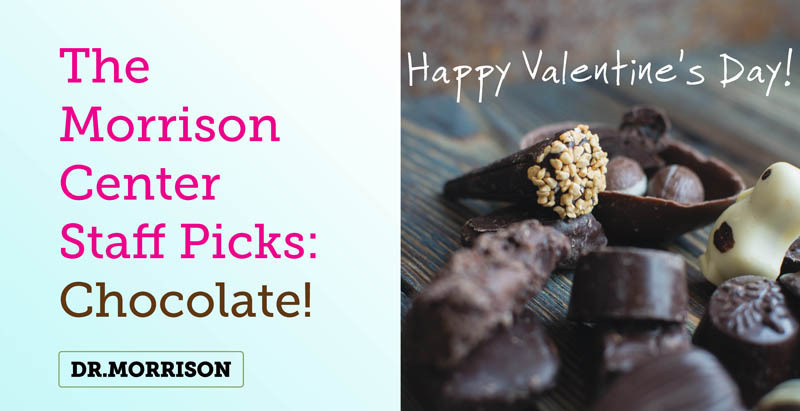 The Morrison Center Staff Picks: Chocolate! 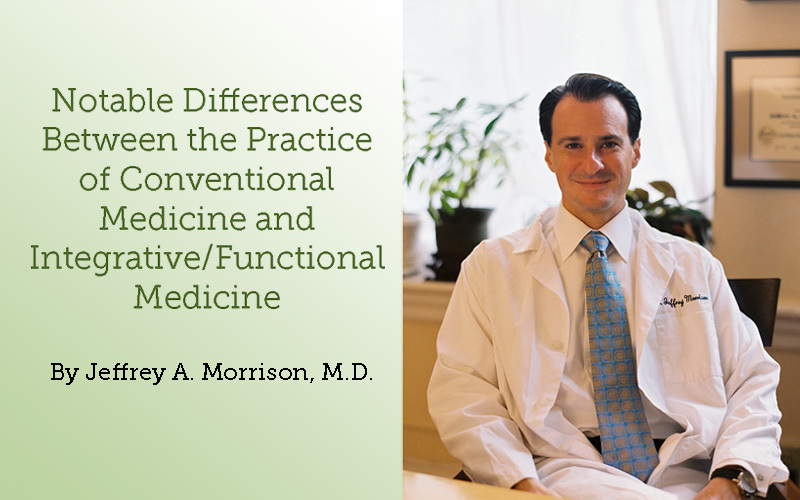 Many patients have asked me to explain how we at The Morrison Center, in our practice of integrative and functional medicine, do things differently than conventional medical doctors. 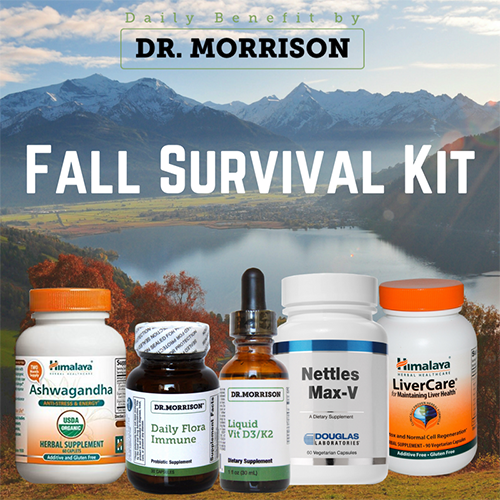 Since I founded The Morrison Center in 2004, the answer to this question has evolved with technology and exciting new health-enhancing treatments.